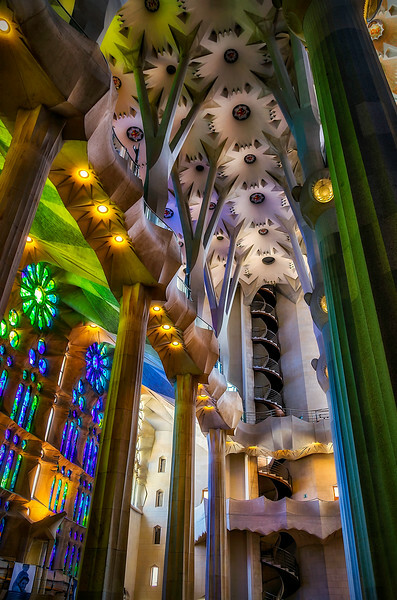 So a Spanish architect born in 1852 decides to build a massive church inspired and designed by nature. Columns representing tree trunks and a ceiling of leaves. Many said the church couldn't be constructed based on it's design. But Gaudí's vision prevailed, even after his death. Construction of this magnificent church continues to this day. Some have described it as the most extraordinary personal interpretation of Gothic architecture since the Middle Ages. I would have to agree!